1509 Olmsted Rd. Normal, IL 61761 - FOR SALE by Couillard & Co. Spacious home located in at 1509 Olmsted Rd. Normal, IL 61761 in Collie Ridge subdivision. Very well maintained with great open floor plan. Large Eat-In Kitchen with ample cabinets and counter space, flowing to the Family Room with nice gas fireplace. Formal Dining Room and Living Room great for entertaining. Huge Master with full bath & 2 WIC’s. 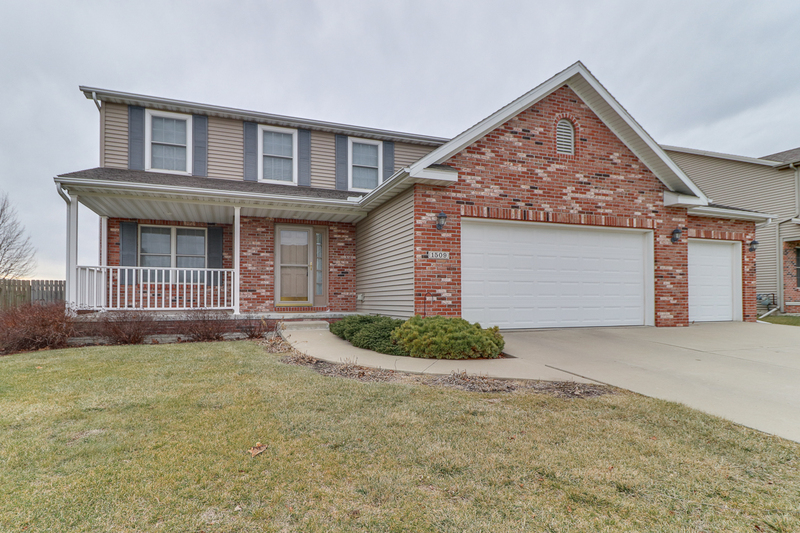 Fully finished basement features another large Family Room, 5th bedroom, and full bath. Sizable fenced backyard with patio and no backyard neighbors.